Hit the Joint – Visit One of Our 4 Locations! 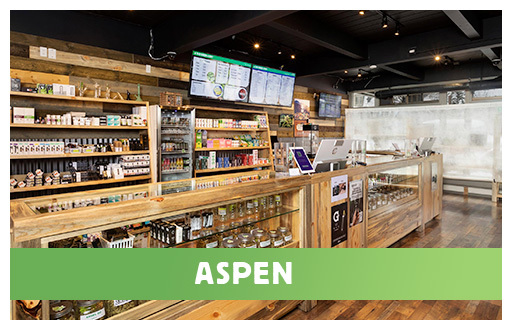 Our recreational marijuana dispensaries in Aspen, Glenwood Springs and Parachute are conveniently located throughout the Roaring Fork Valley and Western Slope of Colorado. Adults the age of 21 and over with a valid ID are invited to come browse our selection, chat with our knowledgeable cannabis experts and have a high time. Whether you’re looking for something specific or just have questions about cannabis in general – we’re here to help you! Shopping with a Colorado medical marijuana card? We’ve got you covered! Our medical facilities in Glenwood Springs and Rifle have happily been serving medical patients since 2009, we truly value the medicinal benefits that cannabis has to offer and take great pride in helping our customers with medical needs. 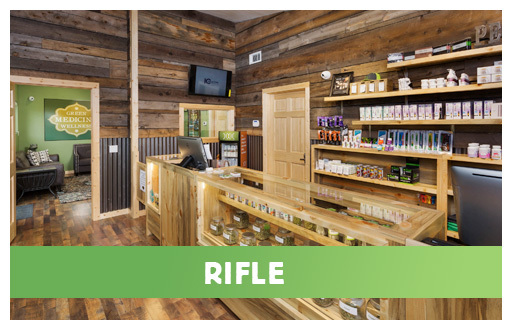 Our Glenwood Springs dispensary is centrally located on Grand Ave just blocks from the heart of downtown and a few minutes from the Colorado River, the Glenwood Hot Springs Lodge and Pool, the Yampah Spa and Vapor Caves, the Adventure Caverns and miles and miles of hiking and biking trails. Look for the historic green painted Victorian house on the corner of Grand & 11th st, feel free to take the local RFTA bus which stops at the front of our door! Visit our Google+ page for more information on our location or to leave us a review of your experience. 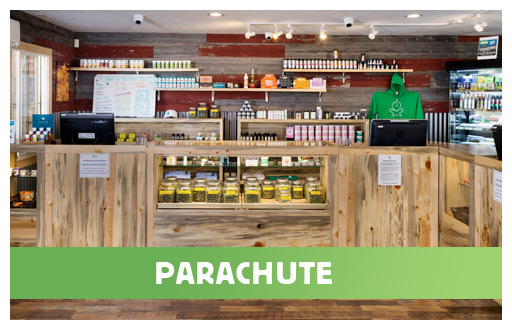 Our award-winning dispensary in Parachute is conveniently located right off I-70 at exit 75. Proudly serving the greater Western Slope of Colorado, our Parachute shop is just 30 minutes from Grand Junction! Visit us next time you’re heading West on I-70, a perfect stop on the way to Fruita, Grand Junction, Moab, and all of the great Utah National Parks. Enjoy world-class cannabis with fantastic customer service everytime you visit!